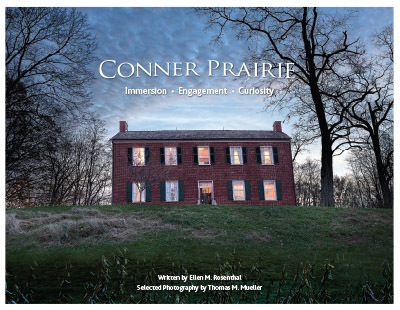 Innovator, national award winner, Smithsonian Affiliate – Conner Prairie is unique among outdoor history museums. In Fishers, Indiana, just north of Indianapolis, on 800 magnificent rolling acres intersected by the White River, a picture of Indiana’s past emerges from a multitude of perspectives. Visitors see and experience the past worlds of Native Americans, settlers, William Conner, children, farmers, Confederates, Yankees, adventurers, and inventors. They create, explore, experiment, participate and learn. Visitors discover and explore what feeds their curiosity.